Discussion in 'The Refreshment Lounge' started by TexasCop, Apr 10, 2010. 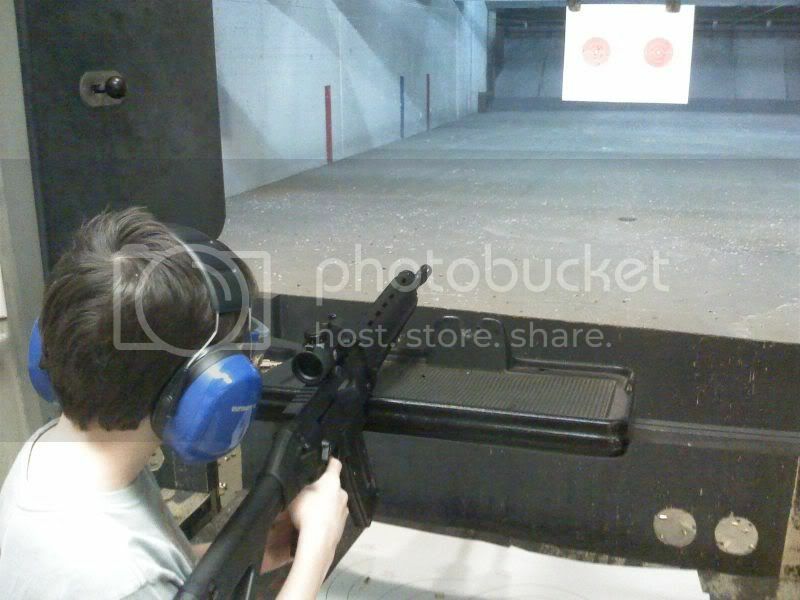 My 11-year-old threw 250 rounds downrange with my Sig 522 this evening. He's my little military freak and always talks about how life will be when he joins the Army. *sniffle* I'm SO proud!!!! Anyhoo, this kid laid down a shot group that you could cover up with your hand. I used to shoot competitively in the NRA when I was his age and he blows my shot groups away. I am simply amazed! I'm very proud of my son! That's awesome Brother! Honestly, I'd like to see more of this taking place! The reason for the verbage in my topic is that a couple of weeks ago I was speaking to an anti-gun woman about how I teach my children gun safety and she was APPALLED! She told me that any person can snap at any minute and go on a shooting spree. I told her, "Ma'am, I started shooting competitively in the Junior NRA when I was 12. I then joined the Army when I was 17, where I served for 7 years. I then became a police officer, where I have now served for nearly 16 years.....and I haven't killed anyone." She blinked and said, "But everyone has a breaking point." If any of my kids go on a killing spree, it will be because of something I DIDN'T teach them rather than something I DID! Oh, and btw, the Sig 522 is a TON of fun to shoot! Accurate little bugger! The reason for the verbage in my topic is that a couple of weeks ago I was speaking to an anti-gun woman about how I teach my children gun safety and she was APPALLED! She told me that any person can snap at any minute and go on a shooting spree. Reminds me of the female reporter who claimed the range instructor was "equipping Boy Scouts to become trained killers!" He replied, "Honey, you're EQUIPPED to become a prostitute!" amen, so mote it be. eh, it's somewhat cliche, but my response to these kind of situations is... well, because someone has a breaking point, you want to sterilize them from any stimulus their entire life? humans weren't meant to lead boring, stupid lives. the people that break are the people that try to sterilize themselves. refer to: puritans. I received my first shotgun when I was 12 and my 6 year daughter keeps putting my uniform shirts on so she can be like me. Great story texascop. Teach em right when they're young. I have never shot a firearm before, so I don't know how much fun it may be. I believe whoever owns a firearm or teaches their own children to shoot, should be a very responsible individual. I am not against gun control as long as the owner has the proper training and the maturity to own a gun.